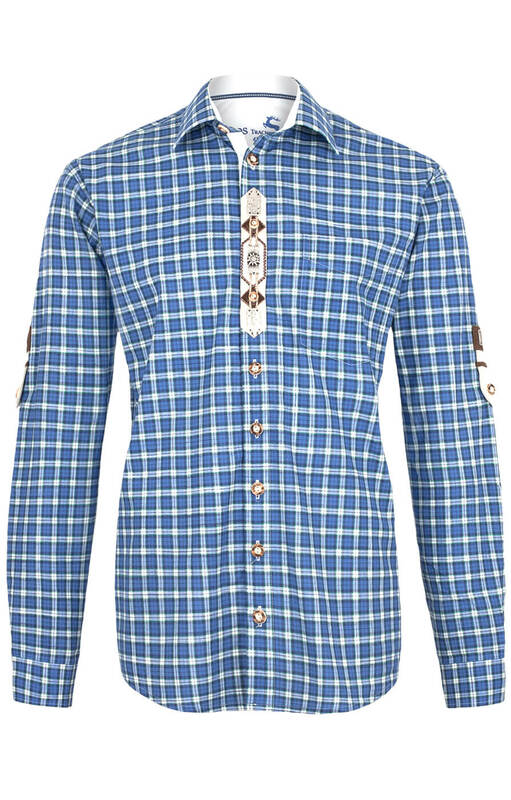 Charming long-sleeve blue chequer shirt with edelweiss motif. 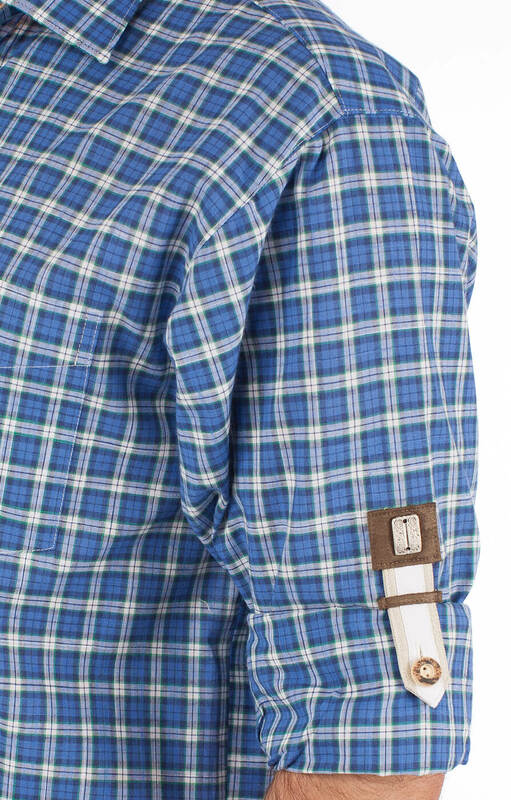 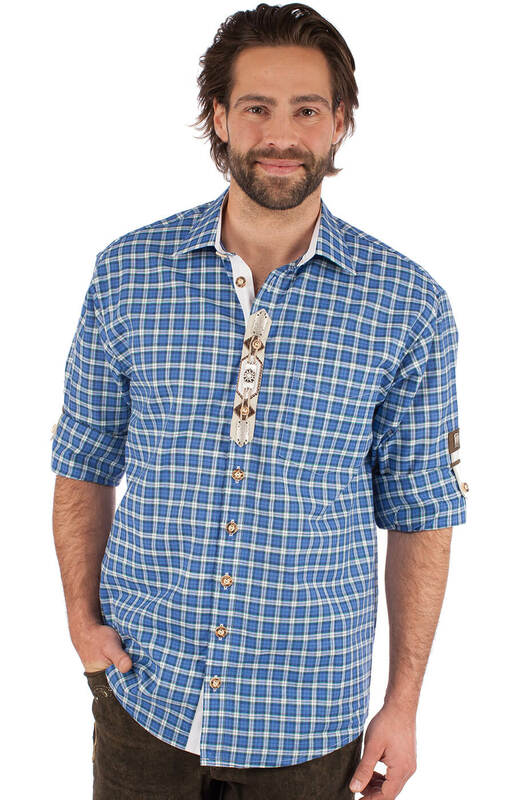 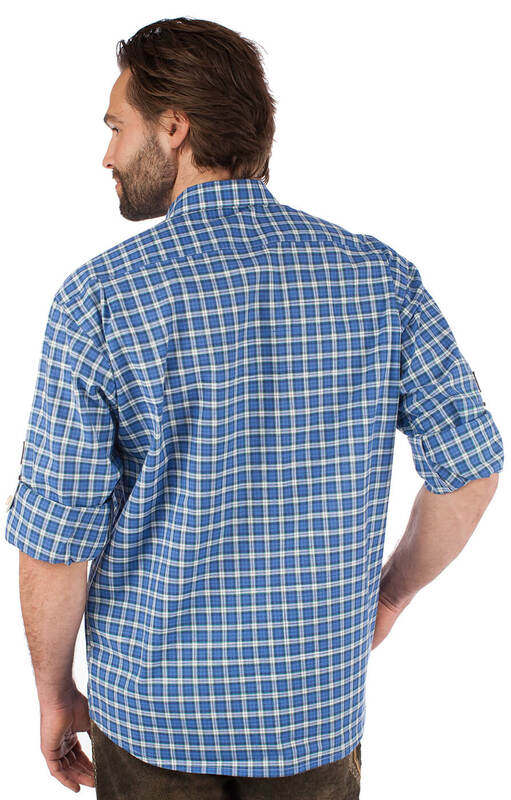 This traditional German cotton shirt features a blue chequer print throughout, accented by white lining and matching white button flap on the sleeves. 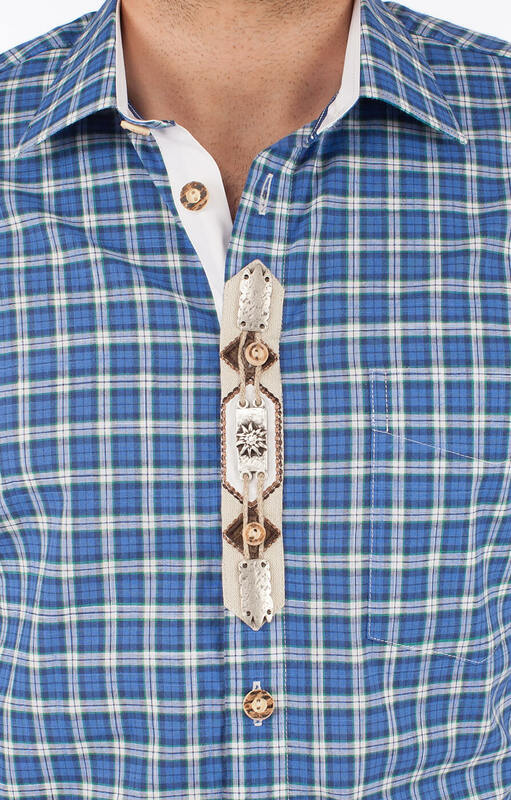 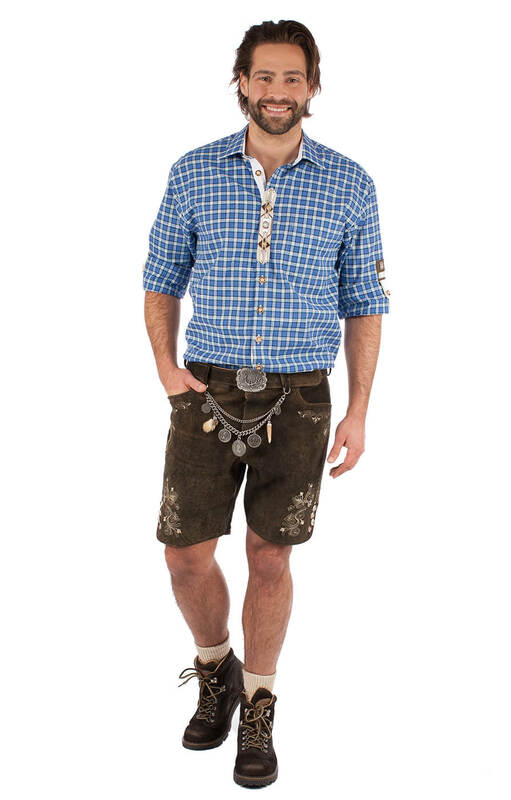 The shirt also features an ornate embellishment on the front pocket: a rectangular metal plate connected to metal stays with straw, which flank the deer-horn buttons and draw attention to the Bavarian edelweiss motif on top.